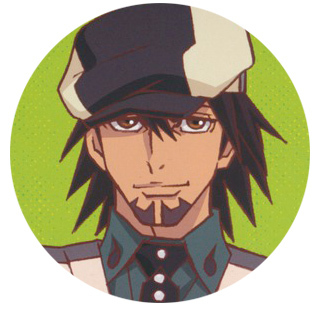 Kotetsu Kaburagi is the aging, old-school costumed hero Wild Tiger. 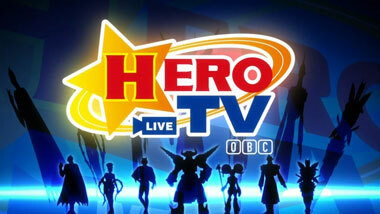 He's barely doing his job on the incredibly popular HERO TV, a reality show that follows and ranks the various heroes as they compete to save people. Each hero is sponsored by companies and proudly display their logos on their outfits (all real companies, too, such as UStream and Pepsi). 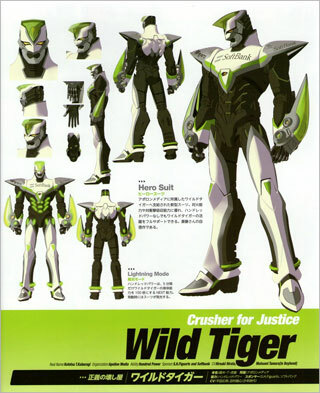 Wild Tiger, however, is performing poorly and barely saving any citizens, which leaves his sponsors displeased and eager to drop him in another sponsor's lap. 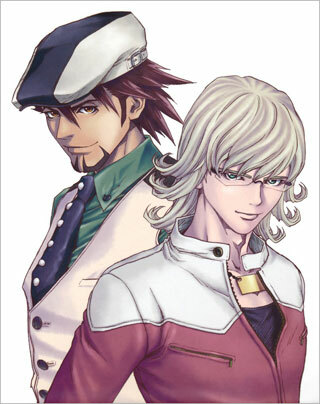 Apollon Media picks up Wild Tiger, but instead of simply refitting him with their logo and sending him off on his own, they pair him with the handsome and fashionable Barnaby Brooks Jr. as the first ever hero duo. 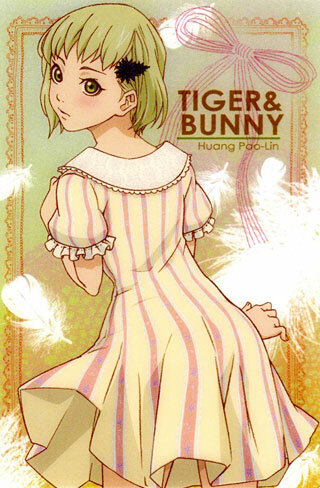 Tiger, of course, is furious with this setup, but soon learns to work with his partner, "Bunny," as they track down the homicidal masked villain, Lunatic. It's great fun to watch the characters interact in this show and it's truly the strong point of the series. 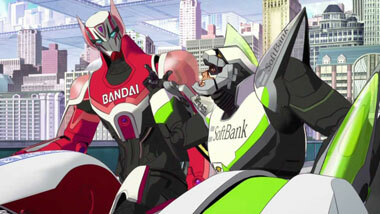 Tiger and Bunny play off each other in a genuine, buddy-cop film way. 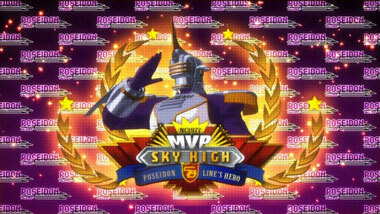 Their fellow heroes are also likable and personable, from the ninja-like Origami Cyclone to the lovable hunk and current holder of the title King of Heroes, Sky High. There's enough variety in the bunch that we're sure every viewer will have a personal favorite by the end of the show. The show is scripted well and it won't win any awards for creativity, but the solid direction and excellent characterization will keep your attention the whole way through. While there's a single narrative driving the story forward, each episode still functions well on its own. 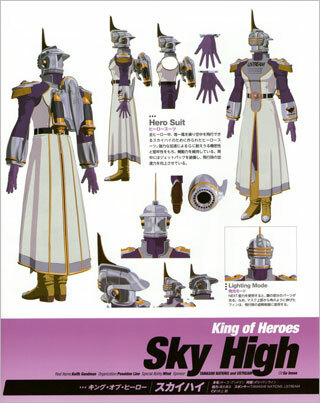 Sky High, the friendly, popular King of Heroes, is given one of the best single-episode stories we've seen in a long while. Sadly, the final arc and ending episode fizzles out and ends up being decidedly cliche, but that didn't stop us from enjoying the series as a whole. For music, the show employs a very traditional 'movie score'-style soundtrack, although with a bit of an underlying 'newscast' vibe. It's upbeat and supports the show perfectly fine, but you probably won't rush out to pick up the CD. The opening and endings themes are catchy and inoffensive, which is par for the course. 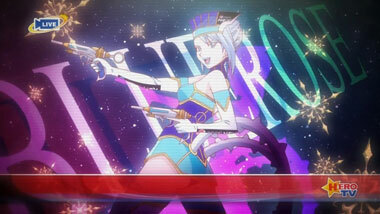 We did enjoy "Hoshi no Sumika" the most, especially coupled with some nice visuals. However, on the art front, we have a mixed bag. The character designs are excellent, eye-catching, and will certainly be applied to every possible piece of merchandise (they're certainly worthy of it). 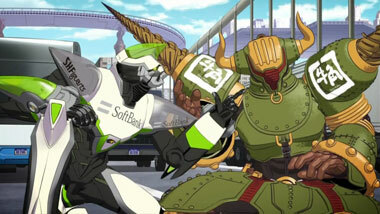 The animation, on the other hand, drops from average to poor frequently. This anime was clearly not handled by SUNRISE's main studio, and it's sad to see a good show suffer under disappointing animation quality. 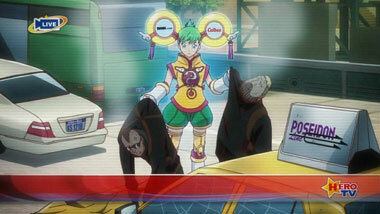 The Blu-Ray discs are reported to improve this significantly, so there is some hope for fans. 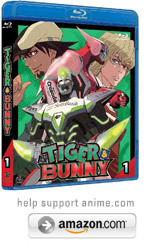 Despite a few animation-related missteps, Tiger & Bunny still manages to overcome those limitations, which is high praise indeed. 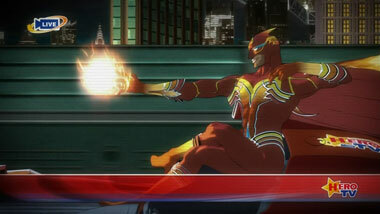 The cliche ending notwithstanding, this series is a solid watch and a good deal of fun - especially to see Japan's take on the American style of superheroes. 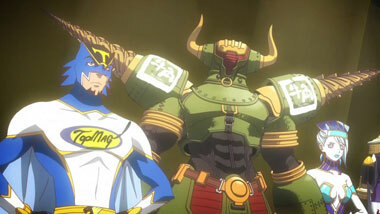 We think if you give Tiger & Bunny a try, you'll soon be chanting along with the rest of the fans, "Let's believe, heroes!" 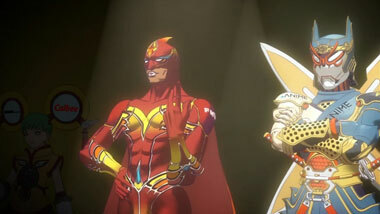 Below: Scenes from Tiger & Bunny . 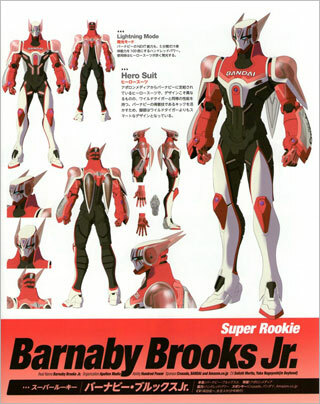 Below: Promotional illustrations for Tiger & Bunny .